You may also hear ‘geef me (maar) een gil’ which you would use if you expect/want to be the one who is called for. – “Om hulp roepen”: to call for help. – “Iets van je laten horen”: to let somebody know how you are doing / to stay in touch / to give a sign of life. The opposite is “niets van je laten horen”. – Gil: scream, screech, squeal [noun] [de gil, de gillen]. – Gillen: to scream, to screech, to squeal [verb] [gilde, gegild]. – Roepen: to call, to shout, to holler [verb] [riep, geroepen]. 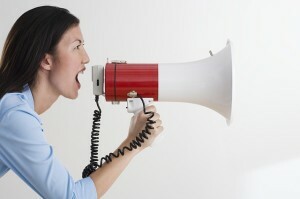 – Schreeuwen: to scream, to cry (out) [verb] [schreeuwde, geschreeuwd]. – Krijsen: to shriek, to screech [verb] [krijste, gekrijst]. – Hulp: help, assistance [noun] [de hulp, <no plural>]. In the translation of ‘helper/assistant’, the plural form would be ‘de hulpen’. This entry was posted in Dutch phrase of the week, DWOTD 1.0, Vocabulary Intermediate and tagged geef maar een gil, gil, gillen, hulp, krijsen, roepen, schreeuwen by Sander. Bookmark the permalink. I am a mother-tongue speaker of Afrikaans, employed at the South African Parliament as a language practitioner. I would really love to receive your ‘word of the day’ programme regularly, just to see how similar each word (or phrase) is to what we say in Afrikaans. How can I subscribe to this service? 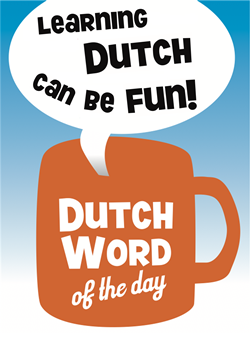 Indeed there are many similarities between Dutch and Afrikaans. If you want to be notified of new content on the DWOTD blog, you can subscribe to the RSS feed, follow @dwotd on Twitter or join our Facebook page.